ore intense it results in the last years l' cultural activity of promotion Of the files parochial. More immense it is in fact l' area of the persons that show you interest to have access to the memory documentaries and more frequent they are the questions, you advance to local level from the political and cultural founding, of I publish l' importance Of the ecclesiastical sources. Is not l' file parochial of S. Greater Maria still reorganized, is not possible, to the moment, try to rebuild Organic the historical events-institutional of the parochial. L' orientation givened to the search, so, it that was it to supply useful elements to the knowledge of the typologies documentaries that form l' file parochial, col it in I stand out l' you interest in connection to the varied fields of search percorribili, they be are of legal order-institutional, Or more religious prettamente, or of economical character-property, or of demographic nature. Also for questo I file the central point of the documentation preserved is represented from the registers parochial of the baptism, marriages, dead and from the books of the states of the It enlivens. Sull' importance and on the typology of these documents, that constitute the source Privileged for the study of the historical demography. a lot already it was written. In the general lines will be said that you are agreed to study the structure of the population (been d' souls), and the natural motion of the same records of the baptism, marriages, dead), the structure partner-economical. the familiar structure, the flows migratory, The ancient toponomastica of the country. Wanting alone to indicate all' importance represented from the registers of the baptism in the field of the genealogical studies, it is useful to remember that in Italy, in the previous period all' founding of the civil state, that is of installation Napoleonic, l you are constituted' sole consecutive record of the native. L' obligatory of their compilation, together to that of the registers of the marriages. it tax was In 1563 from the Council of Trento. It kept watch on the capacity of the books parochial, whose compiling and completezza constituted The first guarantee of a correct installation of the civil state. Other suggestions for the search, from esperire, for example, in the field devotional, can be supplied from the ricorrenza of the name I plan to the christening: the frequency dell' attribution can constitute l' evidence of the Devotion heard and of the practices of religion exercised aside of the community. Besides the registers of the baptism become precious source of search also in the ricostruzione Of the series of the parroci succedutisi in the care of the souls of the parrocchia. In fact from their shape redazionale, changeable in the time until to become via generic road except for, it is possible to point out, to begin from the second half of the century XVI, relevant data not only to the fatherhood and maternity of the christening, but also all' identity and qualification Canonica of the priest officiating. Other fields d' valid inquiry and of raised social meaning I am esplorabili in the registers of the marriages, documented nell' file parochial of Morrone dall' year 1632, without solution of continuance, to exception of the gap recorded For the period 1664-1685. Also for these records, that dall you are furnished' indicator alphabetical to leave dall' year 1693, the tongue at first used is the Latin one, attested until 1752 (more of a ventennio with respect to the baptism), subsequently L' Italian. In analogies to how much it is checked in the certifications of the baptism, them records of the marriages are numbered progressively for every individual year, To begin dall' year 1818. Interesting cue on the social behavior of a given community can emerge From the comparison between the date of the sponsali and that of the celebration of the relevant marriage. These fields of search they are practicable also in the documentation of our file Parochial, that results quite preserved. A special connotation is then confer all' file from the presence, in the marriage certifications, of a large series of actions bringing the genealogical trees Of the "gotten engaged", strictly rebuilded until the fourth generation. To note it is, besides, l' use, verified in the almost whole of the cases examined, dell' appositions of the nickname, added from the parroco in the fit in which rebuilds the genealogical trees of the contractors the marriage, for obvious purposes you identified, In a matter of homonymy for affinity parental. This personal topology of certification, to perfect Morrone preserved, it supplies complex possibility of verifications and itself yourselves it the precious source also for all them possible uses, in the field of the studies sociological and linguistic, of lexical elements commune transmitted alone like sources Oral. L' originality of some nicknames pushes to do us the summons: «Pasta of the Tower, I rent some Cheese, Zoppo Fiorone, Straw of Honeycombs, Cicata, Incassachiodi, Mincolongo, Bugitto, Cavallaro, Orecchiuto, Cavarutto, Lucacchio, Priminterra, Malcervello, Rascione, Cervellone, Cocchiarone, Squaglione, Carrafone, Cocciolillo, Cifello, Tormentone, Leader, Capoarso, Cichetta, Ciafè, Cercola, Carolei, Bolt, Ferriello, Spezzaferri, Fruscillo, Scarpariello, Barilaro, Paoliaio, Tambourines, Secchiaro, Massacalce, Boletta, Lizard, Manomozza, Busciardo, Pellenera, Porchitto, Parcel, Scappafiato, Blood of the morning, Ziocchio, Lifeless, Dentice, Gerba, Tranantiello, Trapachiolo, Zirillo». Quite preserved, between the marriage actions, they result also the contrahatur, the authorizations to contract marriage, released from the bishops succedutisi in the ministry Pastoral of the diocesi of Larino, to begin from Raffaele Lupoli. 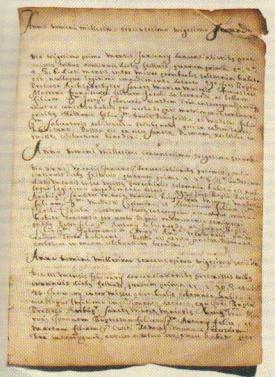 Besides to reveal interesting itself for the study of the worn formulary, variable in the time like that of the registers of the marriages, these documents, since restore imprinted the stemma vescovile, offer further supplementary elements, useful for the study of the pastoral finality of the individual bishops, expressed across l' allegory of the simbologia Ecclesiastical. In this short disamina of the books parochial, for how much it sticks then to the compilation of the registers of the dead, it is useful to remember that be, together to that of the been d' souls, Apostolicae Sedis and that the normative one that the capacity regulated of it was sanctioned from the Ritual Romanum. From specialized studies conducts in the area in Italy, col put to comparison l' beginning of the other records, is emerged that the compilation of the book of the dead it has proposition a certain regularity about twenty years after that of the baptism And of the marriages. From a monitoring lead on the books parochial dell' whole diocese The same it is emerged givened. In the specific case dell' file parochial of Morrone, the register of the dead more ancient, preserved, it goes back all' year 1636: its compilation results therefore rear of twenty years with respect to that of the baptism, of alone four with respect to That of the marriages. Besides, all' analysis of the datazione dell' whole series, It is verified a gap for the period 1664-1687. 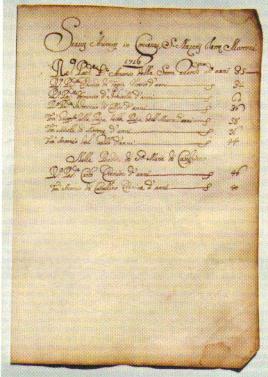 The scarcity of continuance verified also in the records of the marriages for the same ventennio (for the precisione for the years 1664-1685), countered to the presence, for the same period, of the registers of the baptism, it constitutes l' convincing evidence of a secure dispersal of the registers Of the marriages and of the dead relevant to the period taken in examination. Also for the record Of the dead the worn tongue is the Latin one, attested until 1707. The registers, furnished from indicators to leave dall' year 1693, present dall' year 1818 the same peculiarity of the progressive numbering annual, recorded in the Notes of the baptism and of the marriages. To want to do a rapid sign, finally, to the it will specify of these registers, it is remembered that already authoritative was shown that the notes of the causes of death, col supply information on the stagionalità of the illnesses, on their incidence in relation all' environment, sull' course of the rate of mortality, on the percentages of dead for bands of age, constitute sources Precious for the study of the factors and of the proceeded dell' human adaptation. ... they represent a source of incalculable value [as] reflect the events Economical historian of origin, politics and accidental...() of a community. ... the painting [from you are supplied is] a' image of the historical conditions of the time; in its deformity territorial and in its changes of it riflette the variety And the changes. All' examination autoptico of the texts is verified that the families second are listed the houses accommodating, located in the context topographic of the parrocchia, defined variable «Satisfied», «contrada», «quartiere», «vico». The indications riscontrabili in the been d' it enlivens of Morrone, compiled until all' year 1742 with prevailing religious and pastoral purposes they broaden themselves, for l' whole period that it is extended dall' year 1749 until all' year 1809, With l' elencazione «in person, is city that foreigners, that live in lease». The problem of the survey of the population [was] wide heard like problem Conoscitivo-statistical from the second half of the century XVIII. The State ... () not always it arranged some operating tools suitable to the operations censuarie, so that in a lot cases l' civil authority individualized the parochial like district of survey of the data of population ... , () using, like document of base, l' installation of the D been' souls, compiled from the parroci. ... to send it the summary in every month of March to the Treats vescovile, like to the Under-Intendenza Of the District of Larino, giusta the last Sovereign dispositions. But all returning' examination of the been d' souls, other administrative finality of use and fiscal I am riscontrabili in the elencazioni of the «persons privileged, artists and absent persons» of the years 1794-1795; in the relevant notes to the conditions of health, titles of proprietor and professions of the components the familiar unit of the years 1810, 1813, 1817; in the relevant notes to the civil condition and age of the years 1842, 1848-1849, integrated, nell' year 1851, from the note of the profession; in the relevant notes, finally, to the civil condition, title of property and profession of the years from 1853 to 1859, of the years 1862, 1864, 1865 and of the years from 1867 to 1870, the as all supply us the total number of the «landowners, employed to liberal art, Preti, frati, nuns, peasants, artieri and domestic, you beg». Other useful elements for the formation of a painting d' together in the field of the search demographic I am individuabili nell' list of the «individuals we wander» compiled nell' year 1819, in the «alphabetical table annual of the citizens and foreigners that live in I rent» outlined in the years 1824, 1828 and 1851, in the «table for serves, boys and orphans that have not fixed residence» dell' year 1828, in the lists, finally, of the «Persons domiciliate in the country», compiled dall' year 1856 all' year 1870. Precious depositions, then, to the end of the states individuazione in local field and temporal of important religious orders, are supplied from the lists of the components The convento of S. Nazario, documented with rare solutions of continuance dall' year 1710 All' year 1859, and from the lists of the hermits residents in the rural church of S. Maria of Casalpiano, in succession nearly continuous cronologica dall' year 1715 all' year 1870. It is timely, to questo I push, a reflection on the value dell' registry ecclesiale Of the parrocchia of S. Greater Maria, that itself not riduce to a simple certification, but it constitutes, with the rigorosità of the record, critical matter of evaluation for the scholars in the recupero of the historical memory of the community ecclesiale and of the Civil society of our region. But other they are the depositions documentarie preserved nell' file parochial, that they supply precious data for the study of the presence of the Church in the reality Local. they constitute l' more ancient example preserved in file of this tipologia Of documentation, arrived until the times ours in the garment of cartulario. The reading of this source, compared with that of the successive constitutions sinodali, documented actually all' year 1940, itself yourselves it it of leading importance for the comprensione, in its Complex appearance, of the role I turn from the church of S. Greater Maria in local field, from the relations of the clergy with the diocesi, to those of the clergy with the community, to the pastoralità Of the bishop. An exemplification of like some of these sources they be useful to acquire knowledge I specify on the nature, you work and finality dell' Authority is supplied from the reading of the Statuti. L' period dell' edification of the church of S. Greater Maria, neither that of the its founding to parrocchia arcipretale, us tramandano memory of its likely erection in ricettizia, to work of the bishop Veils, nell' year 1596, year in which, founded the clergy, furono destined to the service of the coro, beyond l' arciprete, five porzionari ; it did part of the other clergy four presbiteri, two diaconi and a suddiacono, that They lived in common mass. The measure of monsignor The Fortress, proposition in observance of the sovereign dispositions contained in the Plan approved from Ferdinando THE for all the churches of the Kingdom, brought it modifies to the statuti sent out precedentemente from the bishop Giovanni Andrea Trio, during the holy visit of december 6 1729 and observed in their full vitality until may 27 1830. From this date the articles of the preesistenti statuti furono reduced to the new body of seventeen general articles The number of the canonici was reduced participants, beyond l' arciprete, held to manage the revenues in common mass, for means of A prosecutor elected between the participants of the same clergy. Subsequently the number Of the preti to Morrone went away via riducendosi. Their unanimous clothing, beyond the continuous black ... talare (), consists nell' use of the rocchetto, or it is cooked with the long sleeves more acconce, and in the mozzetta rossacea col I turn of white skin, goddess armellino, giusta the quick Bubble from the bishop Bandini Equipped of Real assent of 2 and 24 July 1801. L' an and l' other corporation mail come «in the limited one and jurisditione of Morrone» in the chapter in which the right define themselves Of concern of the clergy. 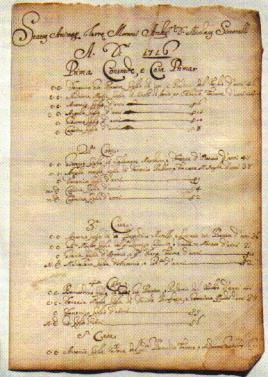 To run the document it is extracted also l' information that Nell' year 1729 in the church of S. Greater Maria existed the Hats of S. Modest, Of S. Giuseppe, of S. Maria of Costantinopoli, of S. Antonio of Padua in which the clergy, with the confirmation of the treats vescovile, put into practice the jus of to elect the prosecutors In the respective days onomastici. Of not smaller interest the relevant deposition to the habit, d' use nell' university of Morrone like in a lot of other of our diocesi, of «to pay the scommodo» Of an annual sum of ducati «to the porzionali of the Clergy for the Mass in Dawn». The sources dell' file parochial of Morrone I am utilizzabili also for the knowledge of the cycles awkward agiografici to the religion of the Holy and to the celebration of the relevant parties, Of the local rites and dell' evolution of the shapes of religion. Nell' year 1729 the community Of Morrone was special devota to S. Roberto and to the Virgin of the Rosary. But of large importance for the knowledge of the appearance devozionali across which themselves It expressed the religiosità populate is the memory of the religion dell' Crowned. Founded june 20 1801 common col approval of the clergy, the festività in reality was been already some introdotta years first from the community, that celebrated it with rite processionale Nell' last sunday of April. Wanting the citizens of Morrone to propagate it the religion, decided to take on itself l' burden of the necessary expenditures all' ottenimento, aside of the sovereign, of the «Signs for the Clergy» col agreement to it I plan some celebration Of the ceremony in perpetual. The source from which is discusses itself this memory is the «Book of the Conclusions», that is to say the decisions taken from the college canonicale for the renewal of the offies to the varied offices And in the matters of ordinary administration. Besides to reveal itself useful for the knowledge dell' inside organization of the clergy and of the formal procedure of appointment and of meeting of the its limb, be, col tramandare memory of other events that involved the community of Morrone in remote periods and meagerly documented, itself yourselves it the source of incomparable Value, also in other fields of search. Of not smaller interest the relevant news to the injury provoked to the campanile from the earthquake of july 26 1805, those with regard all' custody of the intense activities of I restore of the managers of the Via crucis nell' year 1859 to Eustachio you Calm, "ritrattista" of Campobasso, the news, finally, relevant to the ability performed sull' ecclesiastical building nell' Year 1880 «for urgent reparations». A more attentive reading, for its certain importance, deserould the documentation Relevant to the regime beneficiary and property of the church. The inventories they are the mirror of the property situation and therefore represent a spy privileged for the knowledge of the life dell' authority, in its varied phases Of prestige or of decline. But without to enter in the merit of complex property evaluations we limit to ourselves it signal the presence of the «maps of the Clergy» and of the «Been some Church», documented Dall' year 1818 all' year 1833. It avoids not to signal, also for the mention of the numerous founding in be listed, a platea of the territories of relevance, beyond that of the clergy, of ancient Founding that the Hats of S. Modest and of S. Rocco, the Confraternita of the Ss. Rosary, the Churches of S. Daisy, of S. Blessed, of S. Onofrio, of S. I mark, of the Ss. Annunziata, of S. Giusta, of S. Antonio, «united to the clergy», as well as dell' Hospital Of Morrone. 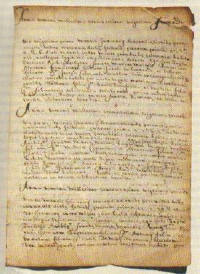 The moderate unwinding dell' preeminent activity to give development to the public religion of some between the associations confraternali operating in Morrone in the course of the century XVIII is, between l' other, documented from the accounts given back from the prosecutor of the Hat of S. Maria of Costantinopoli and from the accounts books of administration, edited from the prosecutor Of the Congregazione of the Ss. Rosary, raised in the church of S. Giacorno. The reading of other depositions documentarie preserved in file, col supply useful elements to the knowledge dell' activity carried out caritativa from the associations laicali operating in Morrone, it agrould a more entire sight dell' organization Nun and social of the community. It is done a rapid hint, to tal resolution, to the sustained expenditures from the prosecutor of the Sacred Mountain dell' Hospital for it «provigione to the spedaliero», for it «limosina to Lutherans, Calvinisti, that I am itself itself to the Belief», and for it «limosina to different citizens Needy and vergognosi», documented for the years 1781-1782. But l' exercise dell' activity caritativa, performed towards the needy dall' Hospital of Morrone it is developed already from about A century. Ce the test supplies of it documentale an inventory of the assets, edited in shape It publishes nell' year 1692. Beyond all' relevant information all' ancient, but not stated given of founding, aside dell' University, dell' «Hospital ... () acciò them live pilgrims», the document supplies a dettagliata description dell' location dell' building, its strutturazione, tipologia of the arredi and nature of the territories To it belonging. In conclusion, in the hope of to have supplied the essential elements to the comprensione of the spacious potenzialità of search insite in these ecclesiastical sources, senz is able' Other to affirm that l' file parochial of S. Greater Maria constitutes a property Documentario of certain usefulness for it safeguards some historical memory local. I discuss from the book: Fit the meeting of study Morrone del Sannio 9 Agosto1996.